​Click here to make a donation to the Sabres via PayPal. Enter @STL-Sabres to donate to the Sabres via Venmo. 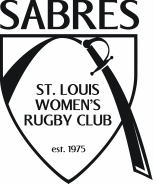 You may receive a popup window that asks, "Would you like to change your charity to St Louis Women's Rugby Club?" Click the button labeled "Yes, change my charity." Supporting: St Louis Womens Rugby Club.